Digital makeover and entry into new segments like cybersecurity and product recall will drive growth. The insurance industry in India is coming of age. Even though the country is largely underinsured - only around 3.4 per cent people are insured and that, too, mostly for life, as against the US (7.3 per cent), the UK (10 per cent), Japan (10.8 per cent) and South Africa (14.7 per cent) - the industry has started seeing a lot of action, the latest being a series of initial public offers or IPOs. It has been just 17 years since India opened the industry to private players and allowed foreign direct investment, or FDI, up to 26 per cent. From a clutch of state-owned players back then, India now has a total of 24 life insurers and 33 general insurers. Better still, foreign investors are raising stakes in Indian joint ventures after India raised the FDI limit from 26 per cent to 49 per cent. A quick look at the numbers confirms the growth trajectory. The non-life sector, chiefly comprising auto, health and property insurance, has grown from a small base and now accounts for 24 per cent of the market. On the other hand, the life insurance industry has grown by 25 per cent during the first half of FY2017/18, says Shalabh Saxena, Chief Operating Officer at Canara HSBC OBC Life Insurance. The life insurance segment had seen fluctuations over the past few years, which was reflected in the fall of overall penetration and density. But its robust performance in the last two years has renewed growth and optimism within the industry. Riding the recent growth wave, quite a few insurers have come out with IPOs of late. First in line was ICICI Prudential, followed by SBI Life, ICICI Lombard General Insurance, General Insurance Corp., HDFC Standard Life Insurance and New India Assurance. More are in the pipeline. Besides helping companies raise more equity to improve solvency standards, the listings could bring a further uptick in demand. 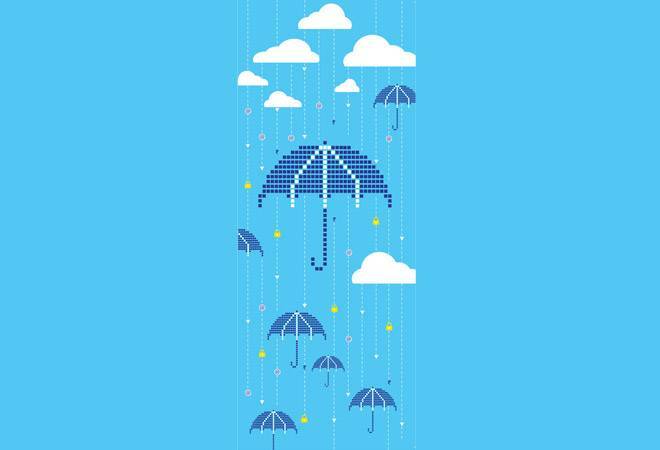 "It will add to policyholders' confidence as listed companies are subject to more governance, thus leading to transparency in financial disclosures," says Samit Upadhyay, Senior Vice President and Chief Risk Officer at Tata AIA Life Insurance. The recent policy disruptions in the form of demonetisation, Goods and Services Tax and Aadhaar linking have led to an intense digital push, helping those keen to enhance their services and expand their footprint. In fact, digitisation is taking centre stage across key business aspects, including hassle-free transactions, significantly short policy issuance time and better transparency. Quite a few insurance companies have already introduced chatbots and artificial intelligence. "Insurers are spending on infrastructure, increasing efficiency and reducing costs through economies of scale along with investing in new initiatives, new tools and new ways of doing things," says Vighnesh Shahane, CEO and Whole-time Director of IDBI Federal Life Insurance. Companies are also working on blockchain as it enables multiple parties to integrate and validate data by employing a single distributed ledger. "The impact of blockchain could be good but the incubation period is a concern as insurers must leap forward and make the entire process digital," says S. Prakash, Chief Operating Officer at Star Health and Allied Insurance. It could make claim settlement swift and seamless with minimal human intervention or risk of fraud. It seems a far cry, though, as most processes are still manual and historically the sector has been slow to adapt to new technology. Rajiv Kumar, Managing Director and Chief Executive at Universal Sompo General Insurance, is hopeful. "Blockchain has already made its way to the banking industry. Its use in insurance will reduce operating costs by automating manual processes of requesting, exchanging and entering data in areas of underwriting, claims and reinsurance," he points out. The linking of Aadhaar with insurance policies will also cut down on documentation, speed up settlements and minimise fraud. "It will help create a better system by assimilation of proper data management," observes Prakash of Star Health. But there could be some initial hiccups. "Although the government claims about 90 per cent of the population has Aadhaar, several discrepancies are still reported regarding Aadhaar issuance. So, the linking could be a problem for customers who do not hold Aadhaar cards," says Kumar of Universal Sompo. While insurers will bet on emerging segments such as cybersecurity and product recall policy, rise in disposable incomes and rising lifestyle diseases will further drive the demand for auto, property, valuables and health coverage. Business is also expected to grow by tapping the huge uninsured population. "New business has been picking up over the past two-three years, and there is a huge opportunity in terms of bridging the protection gap. We expect the market to grow by 20-25 per cent," says Upadhyay of Tata AIA. "Moreover, most companies are targeting a profitable product mix. We will also continue to focus on it next year." As the number of private players rises, competition and operational efficiency are expected to increase in 2018. "Insurance is a game of numbers. With more people getting coverage, premiums are going to come down (and business will grow)," says Prakash of Star Health. In case of any hike, it could be due to a rise in general inflation, which is not expected to increase much in the coming year. "There could be a hardening of rates in fire insurance and group medical claims, which would be good for the industry," says Pushan Mahapatra, MD and CEO of SBI General Insurance. Due to intense competition, premiums for fire and group medical policies have fallen sharply, leading to an adverse claim ratio.